Made in USA craftsmanship meets wanderlust inspiration in the 1400 from premium materials, this men’s sneaker pays tributes to the desire for adventure with bold color combinations and a timeless look. The men’s 1400 Age of Exploration is crafted with premium suede/mesh upper and exceptional shock absorption in a classic silhouette. Manufactured in the US for over 75 years and representing a limited portion of our US sales. 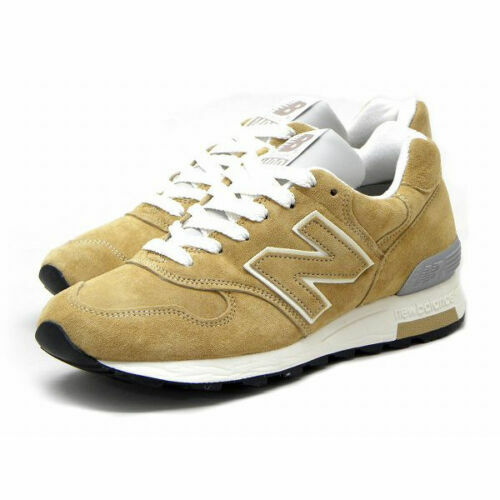 New Balance Made is a premium collection that contains a domestic value of 70% or greater. Rubber cup outsole Pigskin/mesh upper.